The slow flower movement takes seed in the North Bay. As the founder of California Sister Floral Design Co., Nichole Skalski knows flowers. Still, it wasn’t until she was struck with a thought driving between her home in Camp Meeker to the San Francisco Flower Mart that her sourcing practices became decidedly more local. One year later, as new farmer-florist operations pop up across Sonoma County, Skalksi has no problem sourcing flowers for weddings and other events locally. 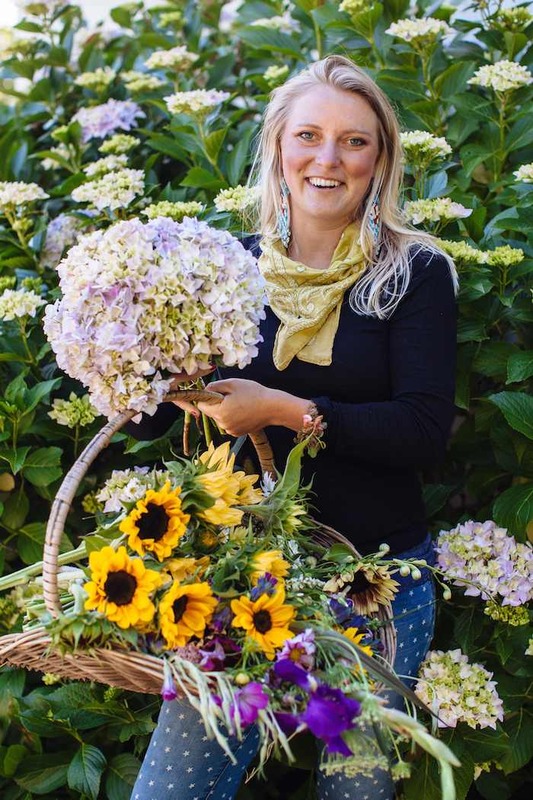 Just take a look at the North Bay Flower Collective website and you’ll see a diverse range of farmers and florists from Penngrove, Petaluma, Graton, Healdsburg, and beyond. The collective’s growth is a sign of a crucial shift underway in the American flower industry, similar in philosophy to the farm-to-table movement in which local, sustainable, and pesticide-free is the way to go. “Things have just really snowballed,” says Skalksi. And yet, there’s still a long way to go. According to a survey by the California Cut Flower Commission, 74 percent of United States consumers have no idea where the estimated $7 billion dollars’ worth of flowers they buy each year originate. Chances are they came from overseas. Eighty percent of flowers sold in the U.S. are flown in from other countries, usually Columbia, Ecuador, Bolivia, Peru, or the Netherlands, all large producers of cut flowers. South American countries grow our flowers rather than providing us with the raw stuff of cocaine per the 1991 Andean Trade Preference Agreement deal with the U.S.; the Netherlands has of course been in a floral frenzy since before that tulip mania thing. As Amy Stewart’s 2007 book Flower Confidential revealed, the $40 billion global flower industry has an ugly side. Roses are dipped headfirst into horrible-smelling vats of fungicides before being loaded on jet fuel-sucking airplanes bound for a supermarket or flower stand near you. Workers on those farms—more often than not poor women with children to support—are exposed to dangerous and toxic chemicals for low wages. And then there’s the exploitation of fertile farmland and clean water for what amounts to a luxury crop for first-worlders. Now in her third season at Full Bloom, where she grows 25 sunflower varieties, as well as dahlias, scabiosas, Green Mist ammis, millet, grasses, amaranth, and a variety of greens using bio-intensive spacing on half an acre, Brorstrom hosted the first meeting of the group that would become the North Bay Flower Collective in spring 2014. 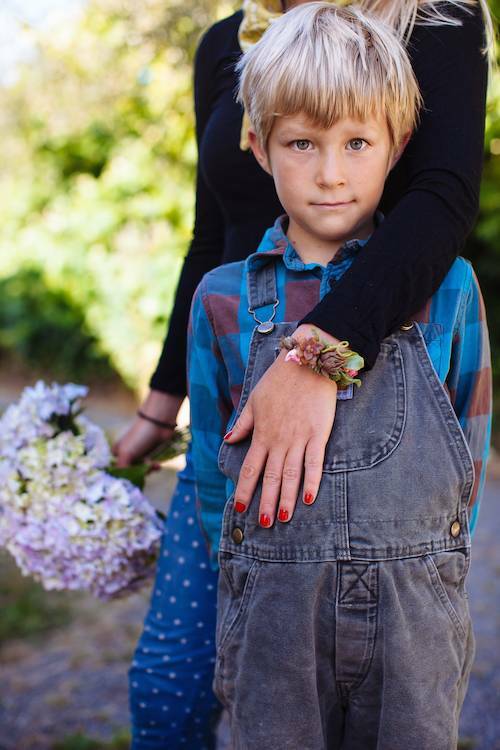 She’d been introduced to Heidi Herrmann of Strong Arm Farm in Healdsburg and another young floral designer at the Occidental Arts and Ecology Center’s plant sale, and had invited them out for a conversation and a meal. Six flower farmers and designers ended up attending and they chatted about favorite flower varieties, pricing, post-production handing, and, of course, the best scents until the sun went down. At a recent meeting in late May, held on a sunny, wind-chilled Sunday afternoon in a field next to rows of snapdragons, yarrow, feverfew, and delphiniums at Lennie Larkin’s B-Side Flower Farm in Penngrove, over two dozen people met to talk flowers. The group’s membership includes farmers and florists from Front Porch Farm, Strong Arm Farm, Twin Palms Ranch, Bloomfield Organics, Chloris Floral, Papillon Floral Design, and First Light Farm. Before casual networking over a tailgate picnic of meats, bread, strawberries, beer, wine, and kombucha, there was an update on the Sonoma Flower Mart’s progression and a presentation on the advantages and disadvantages of becoming a true collective. Last fall, Larkin secured a lease on a plot of land in Penngrove, where she also lives, and began to grow annual flowers like nigella and larkspur. She supplies mixed bouquets to Bi-Rite Market in San Francisco and Tara Firma farms, as well as local floral designers. And of course, like the rest of the farmer-florists in attendance, weddings are a business mainstay. Larkin is making a name for herself on a national level. 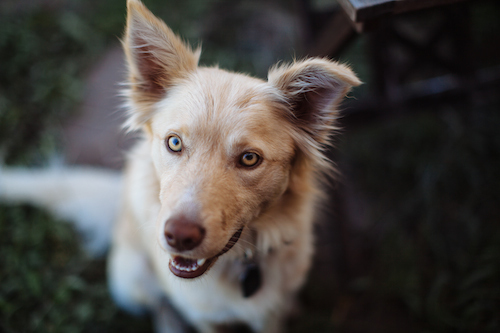 She was recently featured on the Slow Flowers podcast, hosted by Debra Prinzing, author of The 50 Mile Bouquet and the mother of the 21st century Slow Flowers movement, and she’s been asked to run for the West and Northwest Regional Director of the Association of Specialty Cut Flower Growers. “I’m still new at this,” says Larkin before acknowledging that many in the group are looking for ways to turn their hobby into a business. The truth is that, like farming, there’s still not much money to be made in the sustainable flowers business. Most farms are just breaking even, if that. 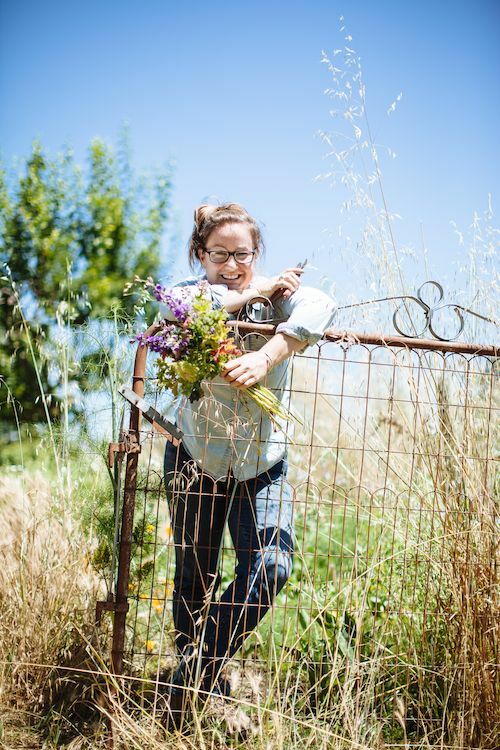 But if the success of the rock stars of the local flower movement, like Erin Benzakein of Floret in Washington’s Skagit Valley, is any indication, there is a zeitgeist afoot. Aside from the locally grown element, the new generation of farmer-florists has a different approach to design. Studio Choo, one of San Francisco’s hottest floral studios, has inspired countless young flower folks to take their inspiration from nature and the seasonal cycles. Instead of stiff-looking, rounded, and uniform arrangements, these bouquets better mimic the extravagant straggle of how the flowers look in their natural state. Early in the season, when the flowers in the field have yet to bloom profusely, Strawn might use foraged eucalyptus, willow, bay leaves, or olive branches in her arrangements. As most farmer-florists acknowledge, the success of this approach depends on easy-going brides and flower buyers who are willing to accept fluid, creative, seasonally-driven arrangements. So, if you commit to buying strictly California-grown, pesticide-free flowers, you can’t have peonies in November (sorry, Nancy Reagan), but you will get something better in return—exquisitely beautiful flowers, which, like the best wine, are infused with terroir. 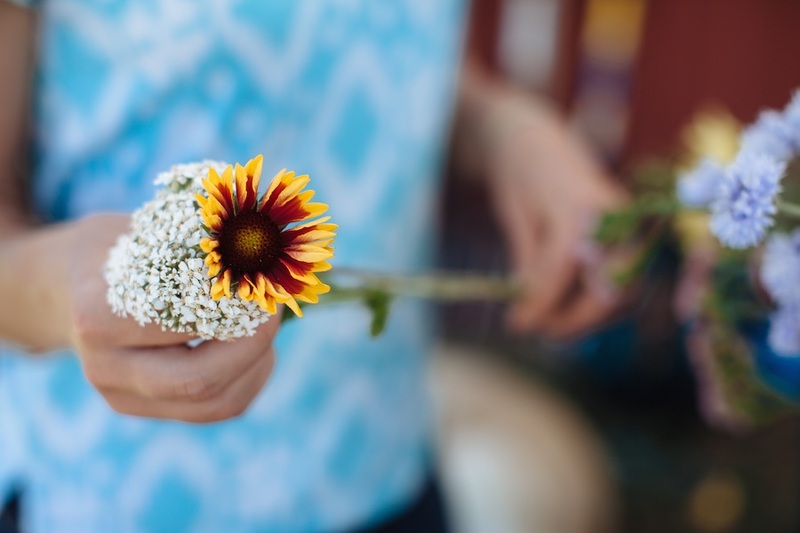 Like many other small flower farms around the county, Chica Bloom offers a bouquet CSA; theirs is extremely local, just for residents of Petaluma and Valley Ford. Each week, members receive lush, seasonal bouquets grown and designed by Strawn and her business partner Ariana Reguzzoni, who co-founded Chica Bloom in 2012 with Lisa Murgatroyd. Over mason jars filled with freshly harvested Sweet William, fragrant garden roses, calendula, and delicate purple scabiosa, Reguzzoni recalls her early experience at local farmers markets in 2011, and how people walking by would comment on the beauty of the flowers before balking at the price. “I can get those for way cheaper at Trader Joe’s,” she remembers more than one person whispering under their breath. “Lisa and I were like, but there’s a reason why you should pay a little more for these,” says Reguzzioni. “We were constantly trying to educate people about the environmental costs of cheap flowers. We had The 50 Mile Bouquet on our stand and we encouraged people to get educated.” Since then, she says optimistically, there’s been an awakening around local flowers. “People understand that local and organic food is important and I think they are starting to realize that local and organic flowers are just as important,” Reguzzioni says. As proof, every season sees more demand for Chica Bloom’s products, something that can be attributed to growing consumer consciousness.